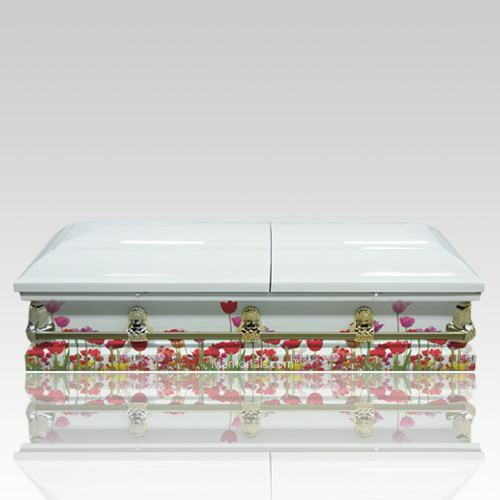 The Flower Bed Casket is made from metal with a wonderful polished to perfection finish. The casket is a half-couch design. The interior also includes a matching pillow and throw. The exterior, meanwhile, is decorated with traditional corners, accessories and full handle bars. 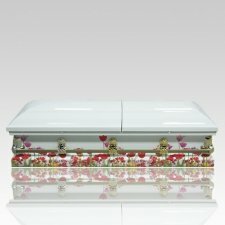 We can customize your Casket with your Own Pictures! "I was impressed with the variety of urns available & very impressed to have a phone call follow up from a message I had left. The gentleman was extremely nice."